The dream of going to a beach like the one in your screensaver doesn’t have to cost you all of your vital organs and a re-mortgaging of your house. In fact, some of the world’s very best are much closer and cheaper than you’ve been made to believe. Sure, Sue from accounting can keep boasting about her trip to Bora Bora, but you can bring home some equally beautiful holiday pictures, while having saved a pretty penny. 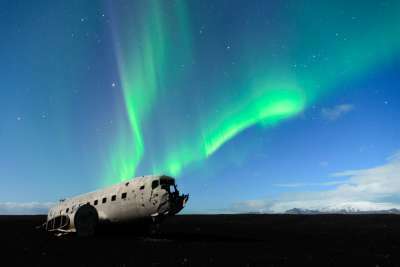 Here’s our pick of some of the best, all of which lie near to inexpensive resorts around the world. Just an hour's drive east of Orlando, you'll find this beach among the rockets and astronauts of Florida's Space Coast. With the nearby Kennedy Space Centre which sent their spacemen to the big, bald moon that now lights up the waves on this beach, you'll experience out-of-this-planet beauty here. 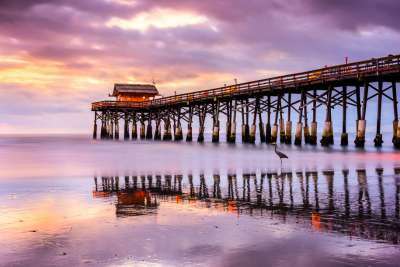 Nowadays the iconic 900-foot wooden Canaveral Pier casts a proud shadow on the beach's flaxen sands. While it was once a hot hangout spot for the astronauts after a long, hard day in space, it's now a mecca for surfers. Did we also mention that this is one of Orlando's cheapest spots?! Take yourself on a short, ankle-deep paddle away from the Cretan mainland and you'll find Elafonissi. 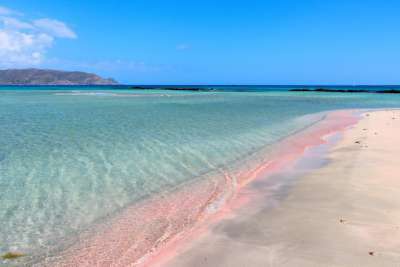 This is a small, white islet that blushes slightly with pale pink sand. It sprouts with sporadic vegetation, which stays watered with the Libyan waves which gently wash onto its shore. It's a mile-long in total, with enough peculiar natural formations for a day-long exploration. There are a number of small coves and curious rock formations to climb upon and admire. Located eight miles from the coast of Yucatan Peninsula, near Cancun, this island in the Mexican Sea abounds with wildlife. You can hear the chattering of snapping turtles from the hatchery, with the opportunity to see tiny baby turtles (eee!) testing out their sea legs. For summer visitors, you can also see the wide-mouthed grin of whale sharks. You're even invited to swim alongside them, with the coral-smashed beach glistening in front of you, and the loud and left-behind skyscrapers of Cancun in the background. Aptly named from the fruit trees which perfume its air, this has long been considered by TripAdvisor, and by many others, as one of Europe's best beaches. It seems to have more awards than Adele at a night at the Grammys, and rightfully so. It's a smug Blue Flag beach, since the sand and the azure waters which lap at it remain pristine. 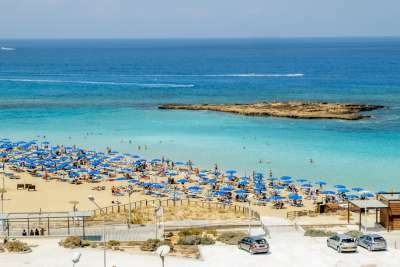 Best of all - as with all beaches in Cyprus - it's totally free to access! 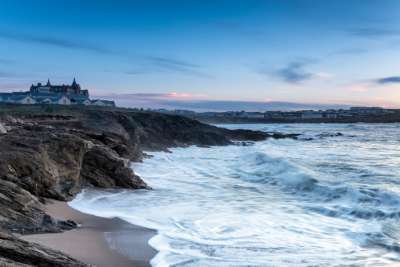 Known by many as Britain's most iconic beach, this may be the brightest jewel on Cornwall's crown. It juxtaposes the loud theatricality of the clapping waves with the quietness of the salt marshes. The wading birds hover listlessly as the tall waves crash into cliffs and dainty plants sway in the marshes. This isn't just a beach for the surfers, but for anyone that can appreciate the eerily beautiful coasts of Britain. 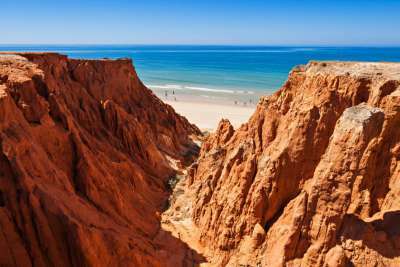 Taking its name from the arresting cliffs that are marbled with red and orange (falesia is Portuguese for 'cliff'), this is one of Portugal's longest beaches. It lies near to Portugal's most popular resort, Albufeira, too. It spreads itself out over six kilometres of resplendent sand which is dotted with shade-giving palm trees. Though popular with locals and holidaymakers alike, the sheer size of this beach gives everyone more than enough room to spread out a towel and have their own personal paradise. 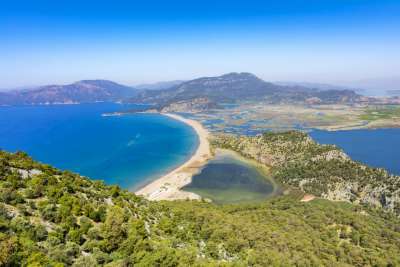 After pacing down a rugged road along the coast of Dalyan, you'll come to a smooth two-mile spread of white sand and sea. The spit here forms a barrier between the fresh water delta of the Dalyan river and the vast Mediterranean Ocean. In this divider, you'll see turtles and tourism converging, as many of our hard-shelled friends come here to hatch. This may well be one of the most Caribbean beaches outside of the Caribbean. Its sand and sea is uniformly white and blue, making it an invariable example of near-perfection. 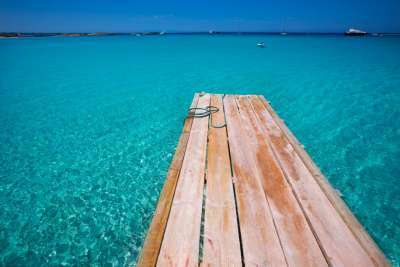 It lies on Formantera, an island very near to Ibiza. Encircled by a series of islets that lessen the impact of the incoming currents and waves, the waters roll in lazily and make for a safe swim. Only 10 minutes from the golden and glowing Big Buddha on Koh Samui, lies the scalloped shore of Choeng Mon Beach. The dividing coastline here keeps the beaches tourist-less and its waters clean. So, when you come to this gorgeous speck of beach, you'll feel as though you've embarked on some tropical and tucked away secret. 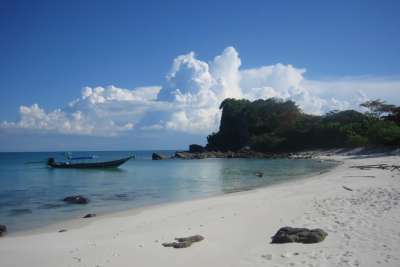 For something extra special, take a kayaking tour from the beach to the islet of Ko Fan Noi which is just offshore from Cheong Mon. All the way out in Iceland's southernmost village where the people are out-puffined (there are only 300 inhabitants, but far more puffins! ), you'll find Vik Beach. Staggered basalt sea stacks puncture the icy waves, competing for your attention with the dominating black sands of the beach. The dramatically melancholy beauty of this shoreline seems almost mythological. And with tales of trolls carving out the stacks, for some, it truly is. However, science says this spectacle was created from the chaos of a volcanic eruption - which has now receded into a peculiarly beautiful calmness.